Great for glazing in fine art painting, this acrylic medium dries slowly, allowing the artist extended periods of working time. 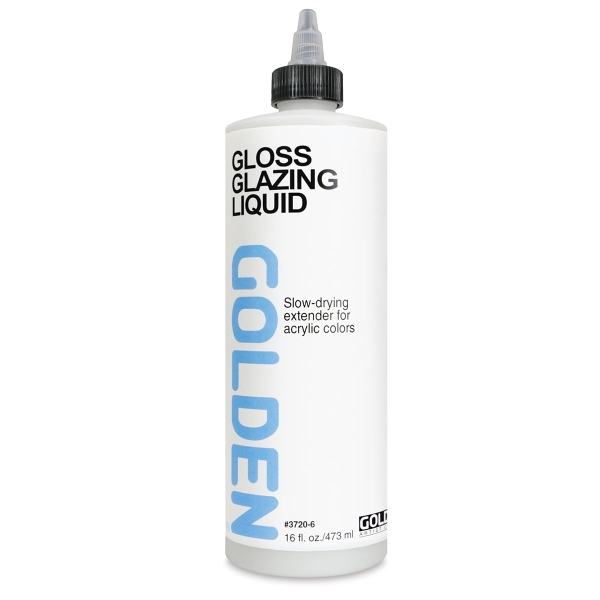 Glazing Liquid improves brushability and is useful for wet-in-wet blending. It's also great for creating glazes or faux finishes on interior walls and furniture. Choose Gloss or Satin finish.